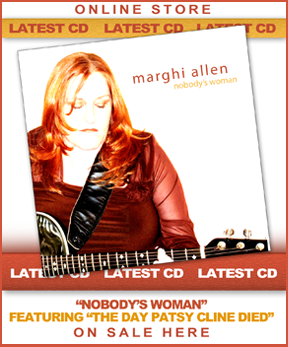 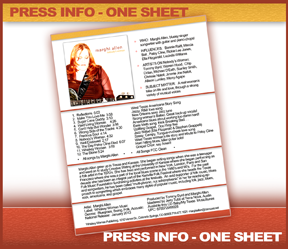 Marghi Allen’s latest CD, Nobody’s Woman, is available right here to preview and purchase. 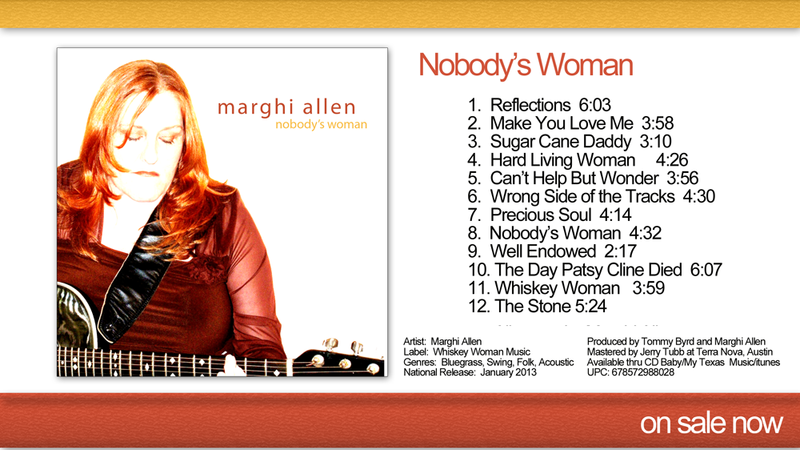 You can purchase songs a ala carte or the entire CD! 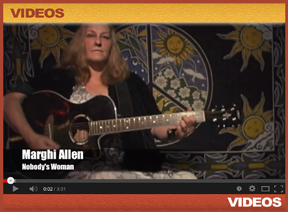 Thank you for your kind contribution of any size.